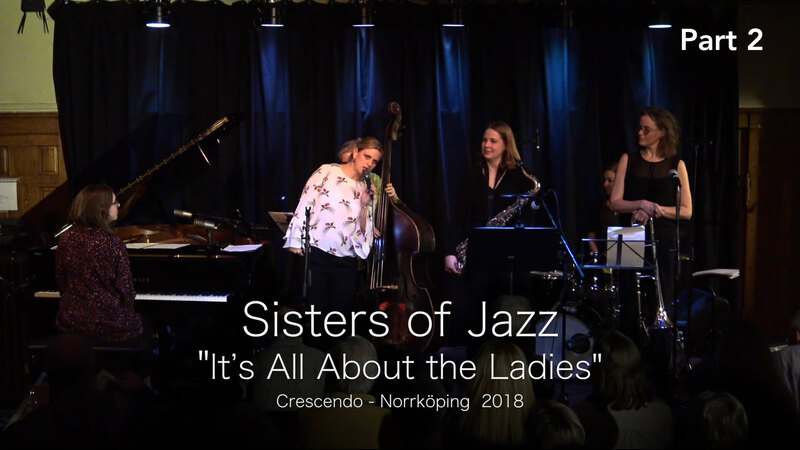 Sisters of Jazz, female musicians from Sweden and Denmark, have been playing together since 2014 and this is their tribute concert “It’s All About the Ladies” – a graceful reminder of the underestimated women of jazz. The singer Anna Pauline Andersson was asked to put together a band consisting of female musicians only. Then, Sisters of Jazz was born, which became a success at their first concert on International Women’s Day that year. Exciting are the stories as well, of the forgotten musicians, ie. Peggy Lee, Rosetta Tharpe, Irene Higginbotham, and Dorothy Fields. At the time some composers and writers had to write music using a mans name rather than their own.